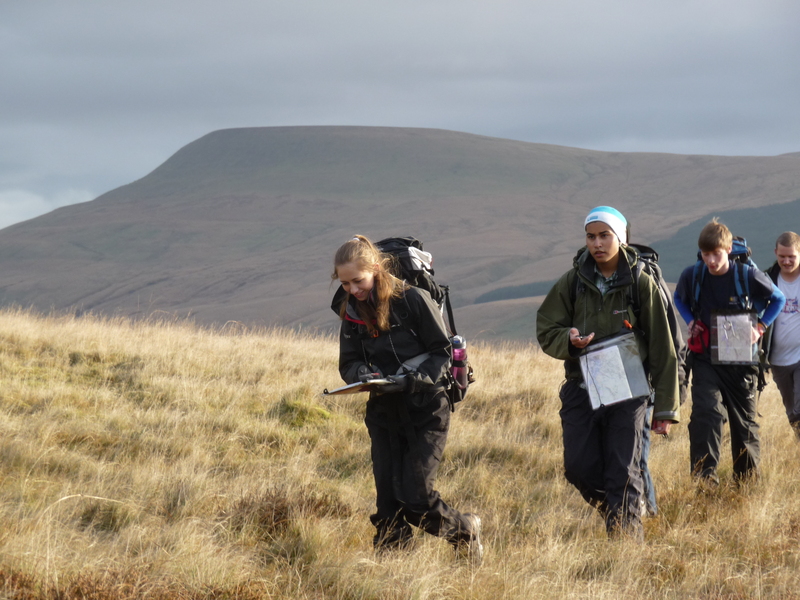 6 groups completed their Gold dofe qualifying expedition in Mid Wales in mid august in outstanding dry sunny weather. Staff agreed that they were a delight to organise and supervise and we were really pleased with how they performed and especially with their cheerful and spirited approach to the whole venture. What a pleasure, thanks all. Your assessors, John and Peter, were also happy with your technical performance and attitude and were delighted to pass all of you for whom this counted as qualifying. 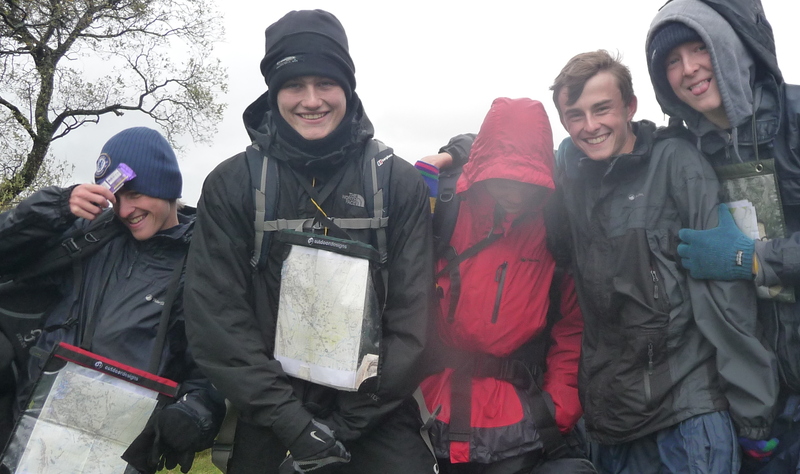 Don’t forget to complete the rest of your dofe now that you have done so well in the expedition section. You completed a verbal presentation at debrief so there is no need to do a write-up. Categories: expeditions, Gold | Tags: expeditions, gold | Permalink. 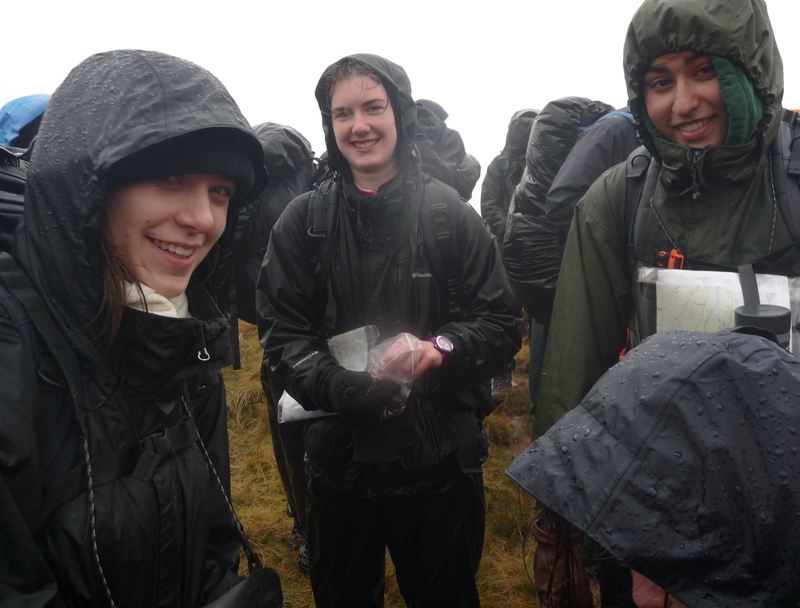 Gold dofe training to S Wales. 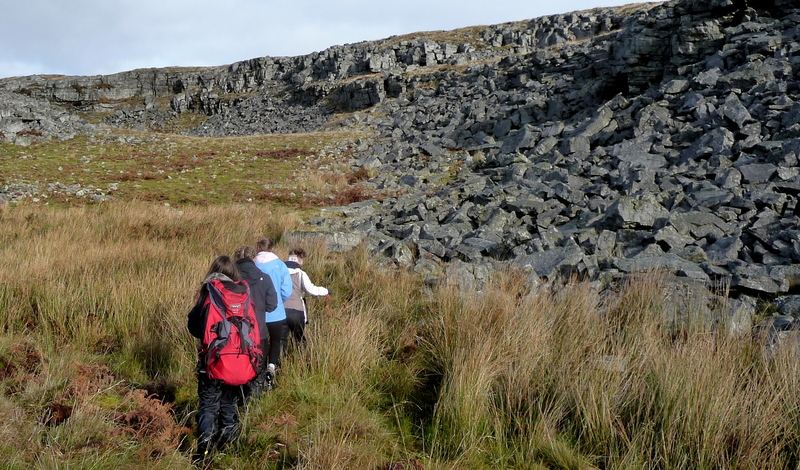 6 groups trained over 4 days around the Black Mountain. Weather good first few days, then low visibility for trek over hill tested navigation skills. Groups did well but camp craft needs attention for the qualifying expedition. 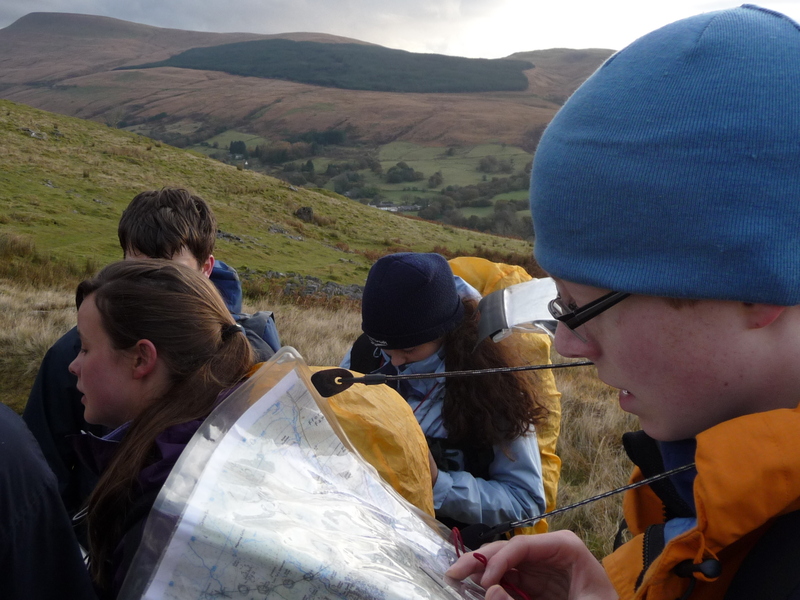 30 L6 students completed their Gold qualifying expedition in Mid Wales. The weather was excellent and even the midges were tolerable. Groups performed well and were a delight to assist and supervise. Assessors were pleased with their progress and happy to pass all groups. Well done! Don’t forget to complete your reports and upload them to your edofe pages. Categories: Gold | Tags: expeditions, gold | Permalink. 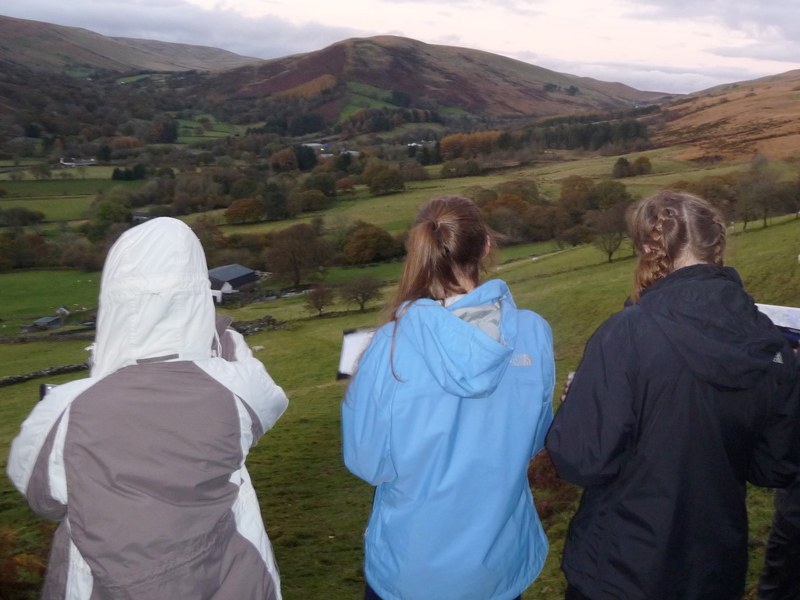 The RGS Gold dofe expedition to Mid Wales departs Sat 17 Aug at 9am from RGS PMH car park. Please arrive promptly for kit check. Travel: The coach and minibuses will be full so please bring a minimum of excess baggage: 1 main rucksack each and one small disposable bag for food on the journey. Please do not bring extra bags to store on the back-up bus for the duration. 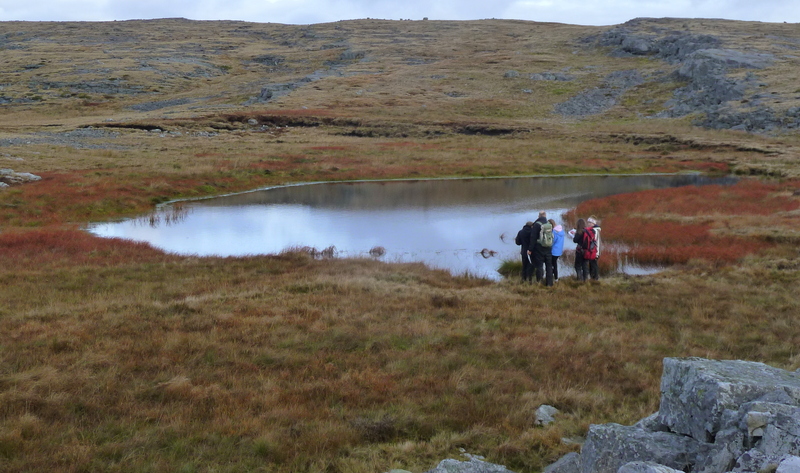 There is no collection of personal kit or resupply allowed during Gold assessment expeditions: you carry all your kit. Pack VERY carefully and sensibly. At all costs reduce pack weight. Large quantities of extra clothing are unnecessary. Consult training pages and kit list pages here. Blisters are a perennial problem on this expedition: please follow advice issued regarding correct footwear, appropriate socks and care of feet. 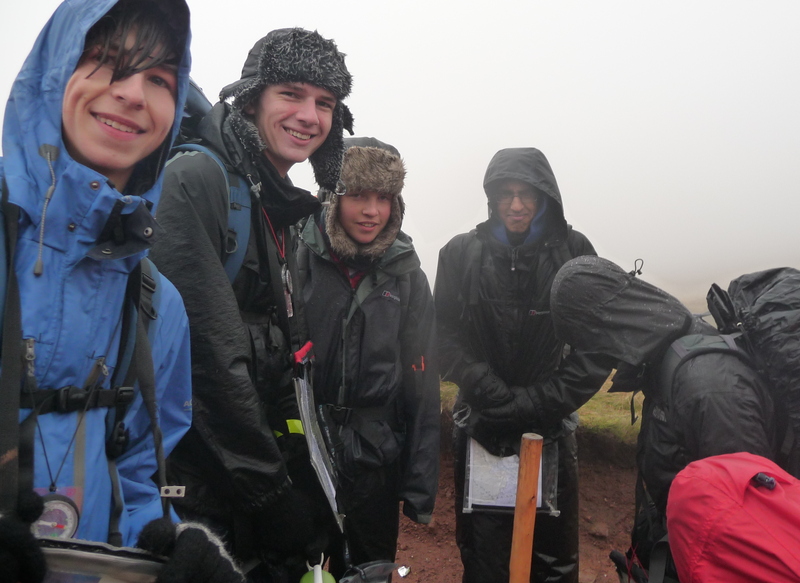 See training pages here and consult your RGS expedition guide. Briefly: make sure boots fit, wear them lots prior to departure; wax them if necessary, buy 2 pairs of decent walking socks, several pairs of thin inner socks, thick outer usually helps most people; some like goretex waterproof liners but not essential; keep your feet dry and free from grit by wearing gaiters (but not essential). Weather: WET and WINDY on arrival in Wales at weekend (40mph+) … detailed update later but looks wet on Saturday 17 / showery and breezy on Sunday 18 Aug in Wales. Thereafter a ridge builds in with more settled and warmer conditions but with some possible rain tuesday as low pressure skirts in from Atlantic. Warmer thru the week though never hot and with winds temperatures higher up could still be cool. FULL waterproofs and warm layers (NO HOODIES) are, of course, absolutely essential. The weather will be different to here. August can be inclement (see video). Navigation: You MUST have maps and compass ready for action. Keep phones off and in waterproof bags, NOT in map cases. Please note: local contacts say that a dry start to summer in the area and recent wet conditions means that MIDGE and HORSEFLY and TICK populations are very high: bring insect repellent, wear long walking trousers and long sleeves and hat are sensible precautions to ticks and insect bites. Your First Aid kit should contain antihistamine or similar bite cream etc. Groups are advised to meet together prior to departure to run through their final preparations. 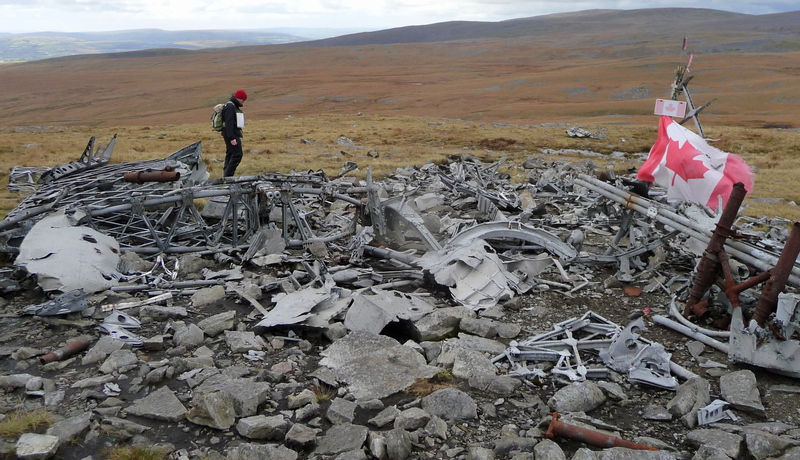 Do not forget fully weather-proofed maps and test all your EQUIPMENT very thoroughly. Your assessor will be looking for completely independent, well organised and safe groups who are fully prepared. Any snags, please contact SAC. Categories: expeditions, Gold | Tags: gold | Permalink. Award Presentation evening: thanks for coming! Thank you to students, parents,. friends and governors for coming to the RGS award presentation evening on Friday. It was great to see so many students getting their awards. The highlight was our 4 excellent Gold Award speakers: thanks to Luke, Hannah, Harriet and Jess for their inspiring talks. well done – wear your badges at school with pride! 3rd Year bronze: MUST register on eDofE; meet your Award Leader anytime this week for final expedition organisation. Kit store opens this week to collect your kit: you must check it. Categories: award presentation | Tags: bronze, gold, silver | Permalink. 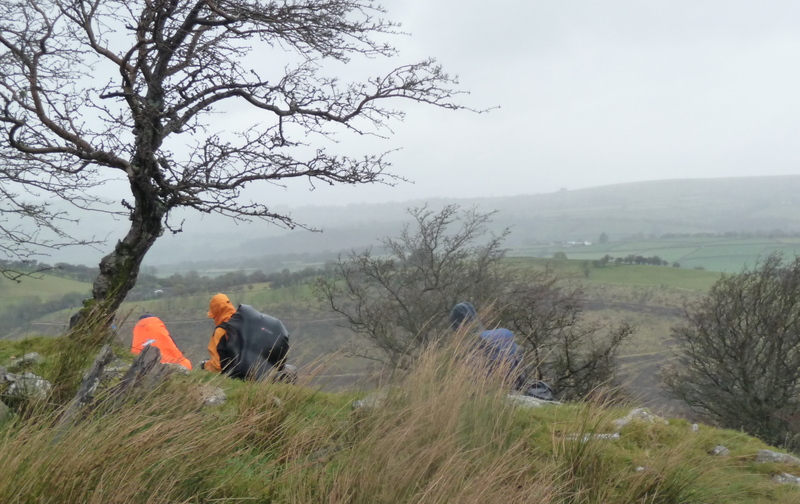 Latest news from Dan Yr Ogof: sleet and snow to valley level: we made the right decision!! 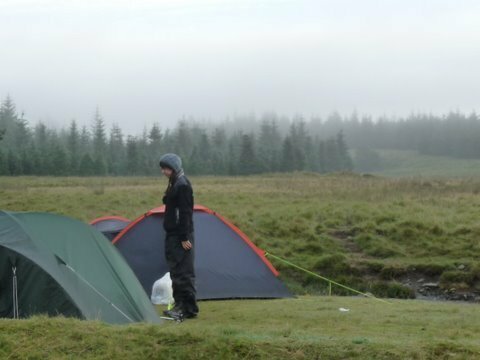 50 students did their Gold dofe training expedition in South Wales, Black Mountain area – which is in the remote far west of the Brecon Beacons and not to be confused with the lower and easier Black Mountains which are to the far east of the national park. 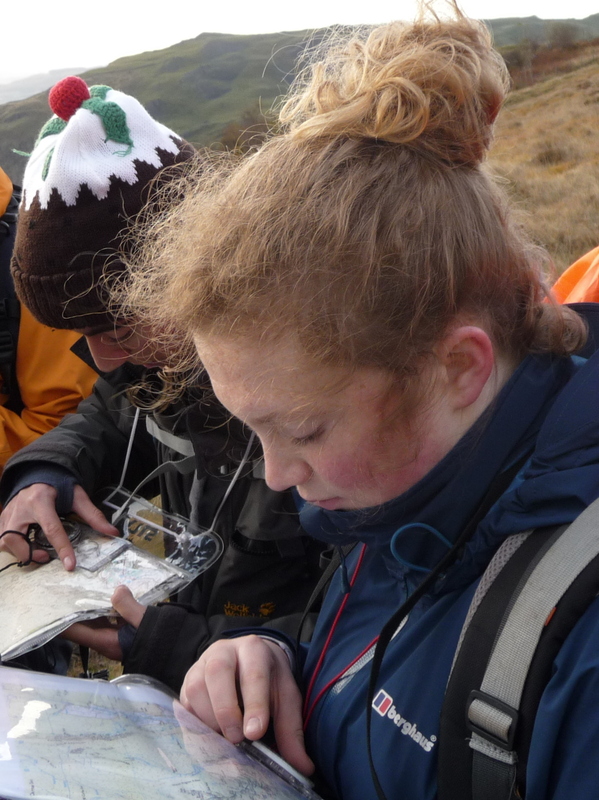 The weather was initially good and most groups got to grips with basic mountain navigation as taught by experienced mountain leader staff. 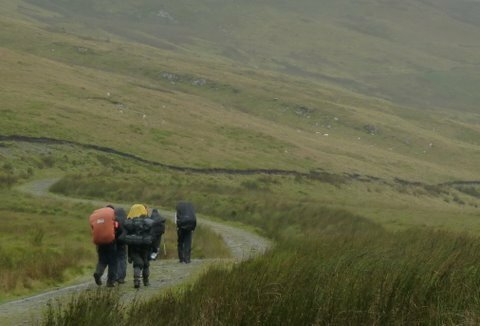 The trekking days were inclement and many students had their first taste of poor mountain weather conditions: well done for surviving! Whilst many coped well, some students found themselves wet and cold and with no spare dry kit, except for spare items delivered by staff. The final day saw temperatures dropping further, wind chill of -6C and snow falling on the mountains with a brisk northerly wind forecast to increase during the day. Whilst the weather was not particularly bad for well equipped and prepared individuals, I took the difficult decision to bail out and come home early because the state of some students would have pushed the potential risk of hypothermia to an unacceptable level. A point to note for assessment: it is important for students to eat plenty for breakfast to avoid endangering themselves and others. Whilst we thoroughly instruct and prepare students for these expeditions, it is often only when we reach the mountains that they discover the importance of their training and the pre-expedition meetings. 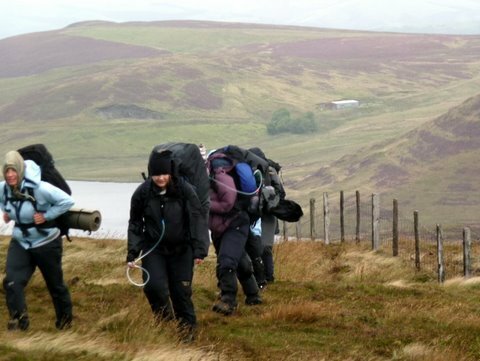 The large dofe groups we organise for DofE, certainly bigger than those fielded by most schools, require careful management on mountain expeditions. 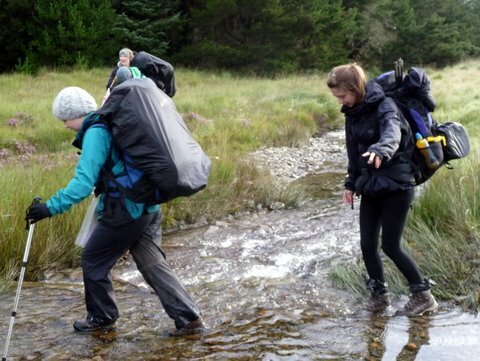 My top quality staff and experienced voluntary adult expedition leaders take on an enormous responsibility looking after students in frequently arduous conditions. If you would like to assist as an adult instructor on our expeditions then please get in touch: in particular if you have significant mountain experience and / or a mountain leader certificate or are simply enthusiastic and willing to prioritise helping students in all conditions then please email me and join the team! Categories: expeditions, Gold, notices | Tags: expeditions, gold | Permalink. A large group of RGS students were presented with their Gold DofE Award from HRH The Duke of Edinburgh today at St James’s Palace. Congratulations to the following students who have left RGS and are now pursuing undergraduate degree courses all over the country or planning exciting gap years. Thank you very much for coming – many of you made considerable journeys to attend. 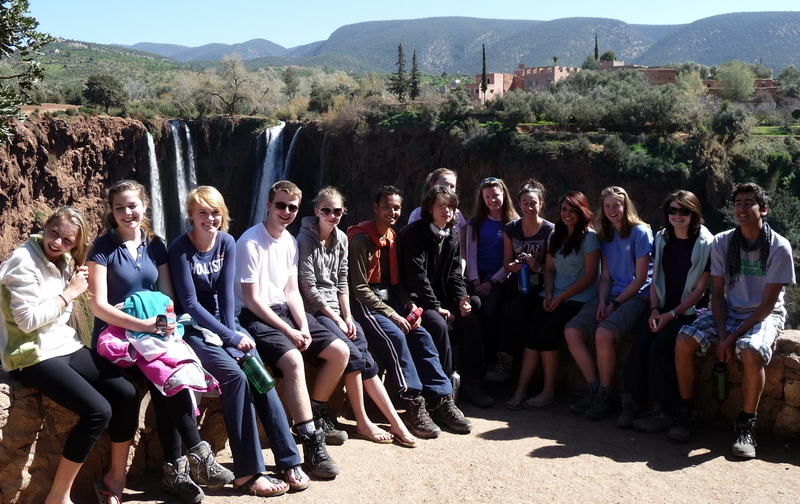 We are very proud of you all for being such great ambassadors for RGS DofE and hope you can keep in touch! Gold Award holders: October 2012: Imogen Adshead, Rhys Appleyard, David Assender, Emma Bates, Elizabeth Boodhoo, Emily Bowden, Andrew Buchan, Katherine Carmody, Sophia Cartmell, Rachel Clarke, Joe Ellis, Alex Fraser, Catherine Goddard, Declan Hall, Calum Harris, Keshini Jayawardana, Eloise May, Jonathan Windridge; Louisa Mamalis and Daniel Thorpe also got their Gold but couldn’t attend. Categories: award presentation, Gold, Gold Award Holders | Tags: gold | Permalink.